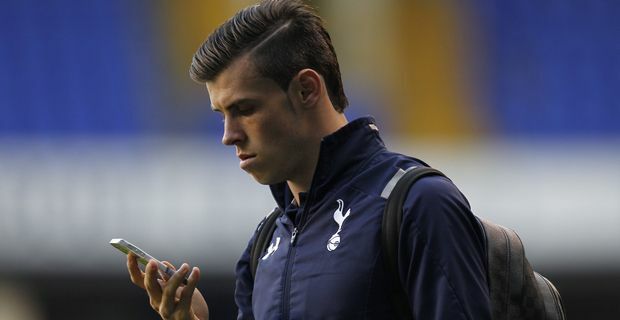 Gareth Bale looks set to remain at Tottenham for at least one more season. In the final match of the season against Sunderland, the latest in a long line of brilliant individual goals from the Welsh star was not quite enough to seal a Champions League qualification place for his club, but it seems that Bale is happy to be a part of manager Andre Villas-Boas's plans for next season. Bale, winner of the players' and writers' footballer of the year awards, is reportedly ready to sign a new contract. A salary in the region of £150,000 a week might have played a small part in persuading him. Real Madrid head a long list of clubs keen to sign Bale, but it is thought that Bale has a fondness for the club that has developed him into one of the world's best players, and Villas-Boas is a manager who has brought a new goalscoring touch to Bale this season. Villas-Boas and Bale flew off with the squad for a summer tour in the Bahamas. "You have to hold on to your best assets," the manager said, aware that Bale is a hero to millions of Tottenham fans. "Gareth is travelling with the team. This is an opportunity for him to touch that fan base that he has around the world, so we are looking forward to him coming and competing." Bale's wages and the lack of Champions League football will make Tottenham's finances a little fraught but chairman Daniel Levy believes the club should put the emphasis on retaining their best players rather than cashing in. It does put pressure on the team to deliver next season. Having come so close to a top four finish, Villas-Boas knows that he might only have Bale for one more season. The new contract will include a buyout clause allowing Bale to leave if any club comes up with a minimum £50 million offer.